We arrived at the resort by lunch time and our van driver dropped us off at the First World Hotel which, in 2006, was listed by the Guinness Book of World Records as the world’s largest hotel with its total of 6,118 rooms. 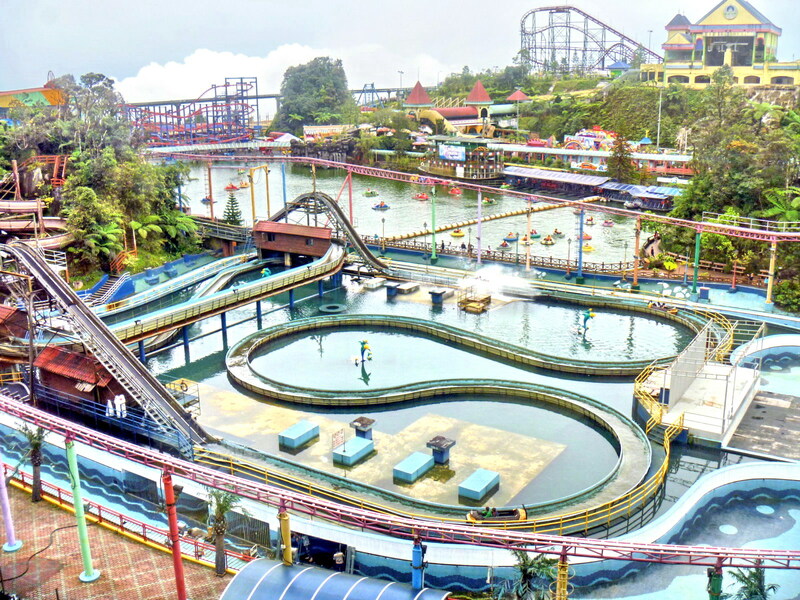 The resort has three theme parks – the Genting Outdoor Theme Park (set around an artificial lake), the First World Indoor Theme Park (arcade games and children’s rides) and the Water Park. Among its 20 signature attractions are the Flying Coaster (a hang-gliding roller coaster), the Corkscrew (the only double-loop roller coaster in Malaysia, it speeds and spins up to a height of 90 ft. above the ground), the Genting Sky Venture (Asia’s only free-fall skydiving simulator), the Haunted House, the Ripley’s Believe It or Not!Museum, Solera Space Shot (a rapid vertical ascent and descent open-air amusement ride) and SnowWorld. 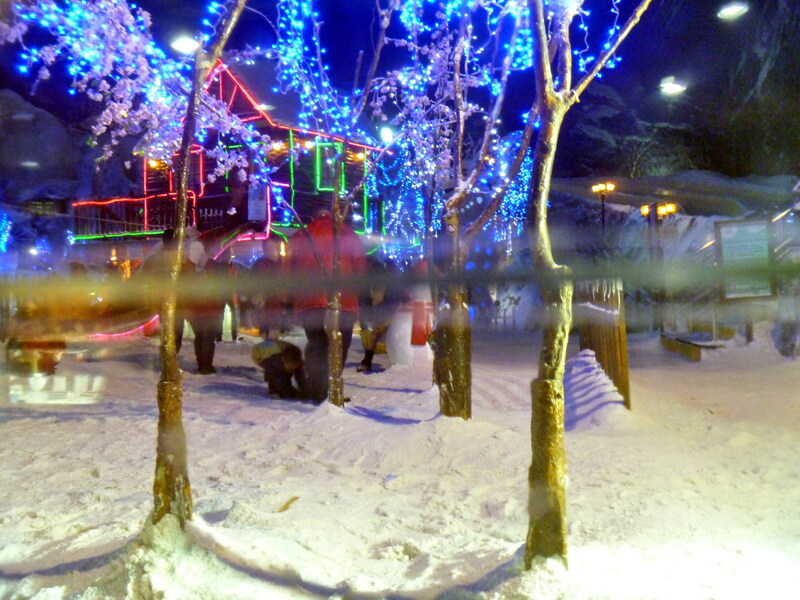 We all tried the last mentioned attraction, donning thick winter jackets and gloves as we tried to last 30 mins. in this 6 degrees below zero winter wonderland. We only lasted 15 but within that time we went tobogganing and bravely ate ice cream before calling it quits. Another welcome treat was our spectacular 3.38 km. 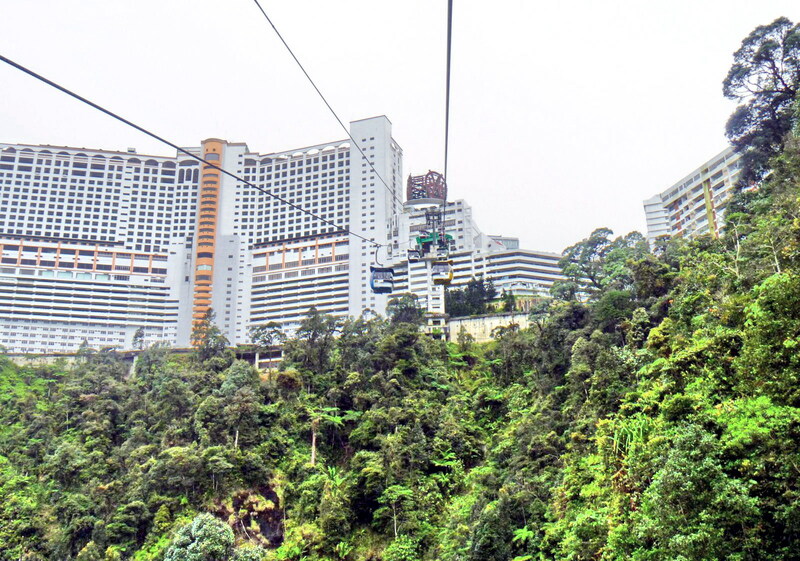 (2 mile) cable car ride on board the relaxing Genting Skyway which, at its opening on February 21, 1997, was recognized as the “World’s Fastest Mono Cable Car System” (with a maximum speed of 6 m. per second or 21.6 kms. per hour) and the “Longest Cable Car in Malaysia and Southeast Asia.” Open 24 hours, our gondola lift ride took all of 11 mins. as we glided above a blanket of montane vegetation at its lush rain forest. Coffee and pastries at First World Hotel’s Starbucks outlet, prior to our being picked up by our tourist van and return to Kuala Lumpur, capped this cool, fun-filled day. 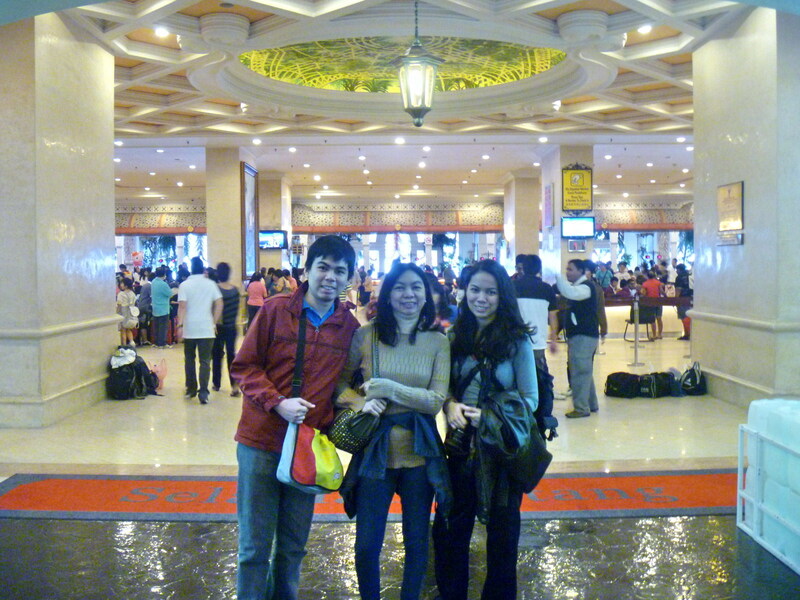 This entry was posted in Entertainment, Hotels and Inns, Malaysia, Theme Parks by Benjie Layug. Bookmark the permalink.